Becky’s greatest aim in life is that her life would make a significant impact on her world for the name of Christ. She hopes women would find confidence in following Jesus, studying His Word and living out what He has said. Becky's first book, Sacred Holidays: Less Chaos, More Jesus with B&H Publishing, a imprint of Lifeway, is wherever books are sold. She often speaks at women's events and prisons-- encouraging both groups of women to love God and others. She is the Founder and CEO of Sacred Holidays, a ministry dedicated to connect the heart of women to the heart of God during peak seasons of women's lives (the holidays they celebrate). She is a certified Myers-Briggs Personal and Executive Coach. She is addicted to ice tea and nail polish, loves Texas summers, and usually is reading 3 books at the same time (although it's a lot of picture books these days). She lives in the Woodlands, Texas with her husband, Chris, and their three daughters: Karis, Moriah, and Chandler. They aim to live out Jesus' instruction to love God and others. Kelly wholeheartedly believes we are better together. In her mind, life is bolder and brighter when done with others. She is passionate about creating connections through shared experiences and authentic hospitality. Jesus modeled it, and Kelly thinks we should live it out. She gathers people together – whether around a decorated table, over pizza and paper plates, or in a social media group – because she believes every single person deserves to have a seat at the table. We all have a story to tell and she wants to know yours. While around her table, you can expect to hear about her love of story and her fondness for the Marvel Cinematic Universe. She is a lady geek, sports fanatic, adventure seeker, and expert gift giver. Her affection runs deep for smoked brisket, potatoes of any kind, cupcakes, and all things coconut. Kelly lives in the State of Hockey (also known as Minnesota) with her hard-working husband, Jeff, and energetic sons, Xander & Gavin. Molly Parker cherishes her role as contributor and editor for both Sacred Holidays and Anchored Press. In addition, she's a contributor for Crosswalk.com, where she weaves God's truth into everyday experiences. She’s a toy designer’s wife and mother of two teens and a young adult. Having lived in various cities and states, Molly has a heart for folks who miss “home.” When she’s not french-braiding hair or scolding her basset hound, she’s either eating cake, baking a cake, or thinking about cake, which is surprising considering she’s worked in the fitness industry 25 years. Megan was born and raised in Florida, and now lives in beautiful Southern Oregon with her husband, Elliot, and their sweet chocolate chip (lab) Dixie. In 2012, she earned her Bachelor of Business Administration (BBA) in Marketing and Advertising Management. 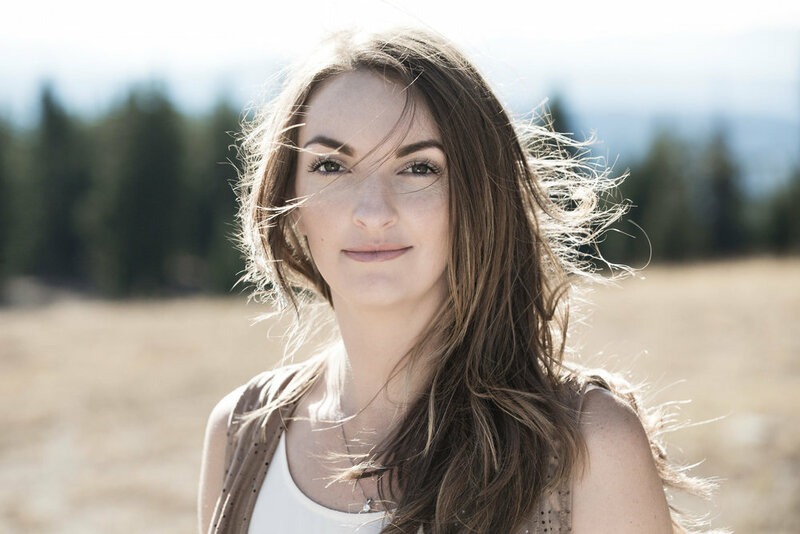 Since then, Megan has accrued marketing and design experience from Singapore to Texas, and worked with amazing clients from Florida to Oregon. Combined, these experiences provided unique exposure and served as a catalyst for her passionate interest in design and creative strategy. She believes that these integral aspects of marketing are manifested at the intersection of effective design and strategic communications, and that is where she discovered her niche. Megan is currently pursuing her Master of Arts in Mass Communication (MAMC) degree at the University of Florida College of Journalism and Communications, specializing in Web Design and Online Communications. As the designer + creative strategist (+ coffee enthusiast) behind Megan Nicole Media, a boutique design business serving creatives + business owners, she offers a unique perspective by effectively combining her knowledge of marketing, advertising, and design.